Fan-favorite writer Matt Hawkins (THINK TANK, THE TITHE) and artist Atilio Rojo team up for an all-new, action-packed thriller from Top Cow/Image Comics in SAMARITAN. The new series is set to launch this May. In SAMARITAN, a woman with a vendetta decides she’s going to take down the largest military contractor in the world and has the means and a plan that just might work. How do you bankrupt one of the richest, most technologically advanced and successful companies in the world? You steal all their research and give it away to everyone. Can she survive long enough to pull it off with the entire US government trying to kill her? 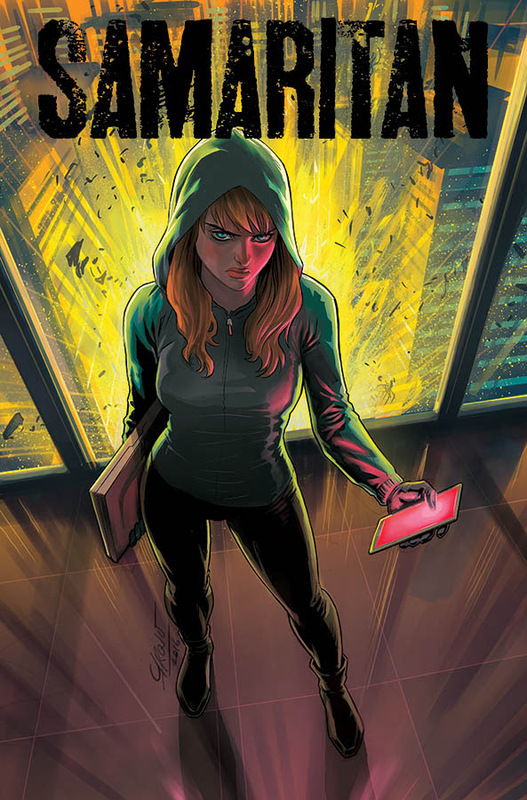 SAMARITAN #1 (Diamond Code MAR170694) hits stores on Wednesday, May 24th. The final order cutoff deadline for comics retailers is Monday, May 1st.